Alibag is the king of the beaches in Maharashtra with fresh air, clean waters and sand. The place is blessed with lots of beaches, forts and islands. 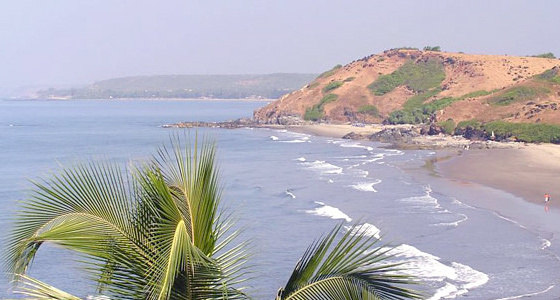 Located on the western coast of India, Alibag is an idyllic town also known as the Konkan region. Some of the major attractions of Alibag include Khanderi Fort, Kolaba Fort, Undheri Fort, Alibag Beach, Nagaon Beach, Versoli Beach, etc. Take a walk in the natural paradise alongside the sandy beaches, enjoy eye soothing greenery, taste delicious local food and most important take pleasure of the twits of birds. At Tour My India, we give you an opportunity to enjoy each and every bit of what all Alibag has in its store by undertaking our Pune Alibag Weekend tour. We promise to deliver a high quality and satisfying service during your trip. In the morning, we will pick you up from your own place and drive to Alibag. On arrival, check-in at the hotel. Later, we will visit for local sightseeing including Kolaba Fort, Alibag Khanderi Fort and Undheri Fort and return back to the hotel for an overnight stay. 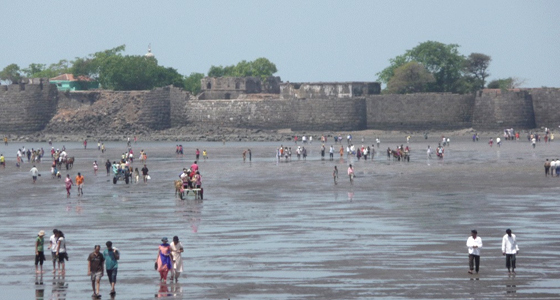 Khanderi Fort: Built in 1678, the Khanderi Fort is 3-4 km into the sea from Thal beach. It is standing still on a small island. Before independence, the fort came under the British control for a long passage of time. Today the Khanderi Fort comes under Bombay Port Trust Administration. The fort can be visited after the permission of the Bombay port trust in local boats. Undheri Fort: Located at a distance of 300 meters from Khanderi, Undheri fort is an island fort built in 1680 by Siddi Qasam. The fort changed hands from the Siddis, Peshwas, Angres and the British. 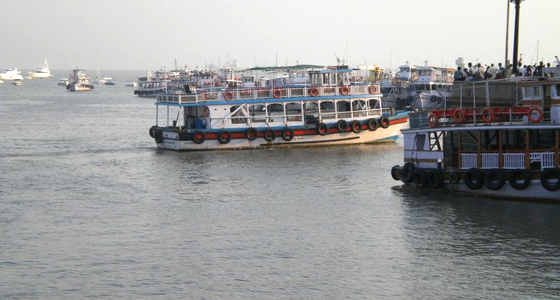 Today, the fort can be visit through local boats. Kolaba Fort: Constructed by Shivaji Maharaj, the Kolaba Fort is situated 2 km inside the sea. The fort can be visited only during low tide. After breakfast, we will visit some beautiful beach of Alibag, Alibag beach, Nagaon beach, Versoli Beach and come back to the hotel for an overnight stay. Alibag Beach: Aslibag Beach is the main beach of the town that has the blackest sand of the region. With lots of swimmers and bathers in the morning, it has a lively ambience in the morning and evening with several food stall. One can see the Kolaba fort from here. Nagaon Beach: Located around 7 km away from Alibag, Nagaon beach is a beautiful beach that attract visitors by its breathtaking views and soothing ambience. Versoli Beach: Situated on the outskirts of Alibag, Versoli Beach is one of the calm and quiet beaches. With white sand and crystal clear water, the beach is a less explored area and houses a large marine base. After breakfast, we will drive back to Pune. On arrival at Pune, we will drop you at your desired location.